Heaton’s place in history is bound up with railways so we thought we’d chug along its stations’ timeline to see what we could find. 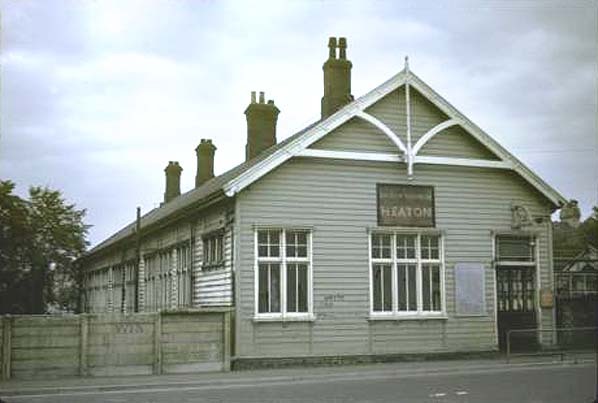 The original Heaton Station was on the first railway to pass this way – the line from Newcastle to North Shields and later Tynemouth, which opened on 18 June 1839. 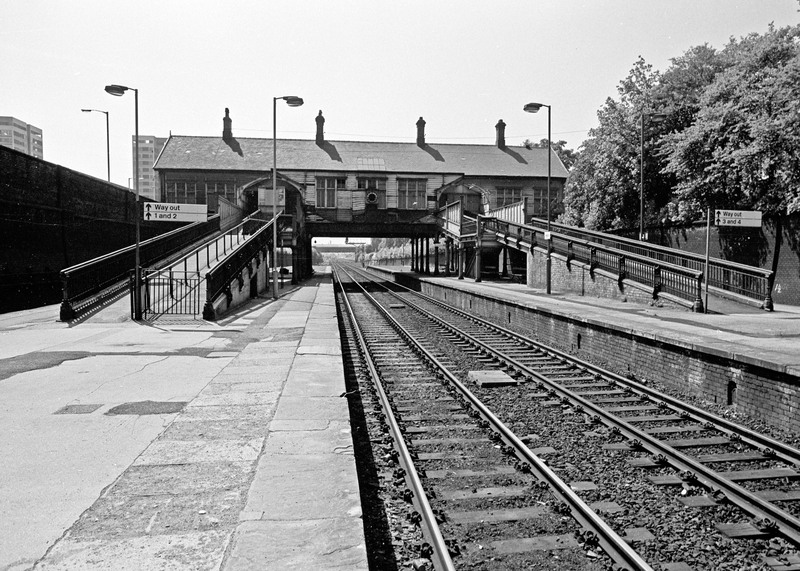 The station was situated just to the North East of what later became called Heaton Road. 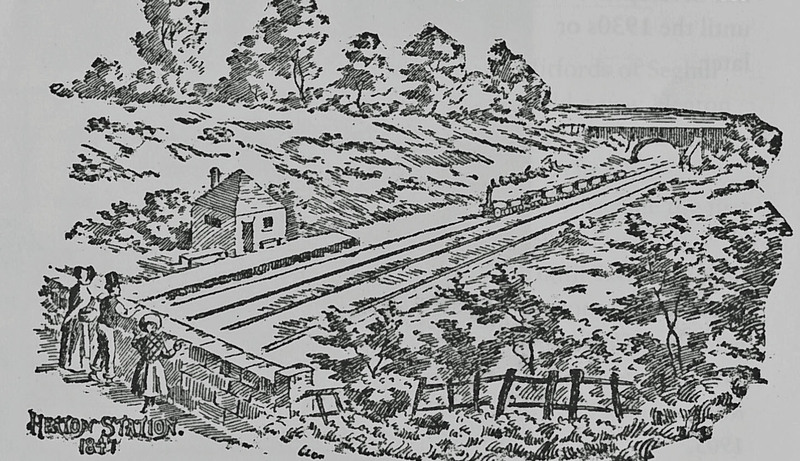 The precise construction date is a little uncertain but there are press adverts which mention trains stopping at a station at ‘Heaton Hall Lane’ as early as 1841. The first mention we have so far found in news reports dates from 1844 when a passenger walking home from the station after dark fell from the bank by the lead factory into the Ouseburn. By the mid 1840s, there were already plans for a new line to Berwick, which meant that Heaton was destined to become an important junction. The stretch from Heaton to Berwick opened on 29 March 1847. This illustation dates from that time. Thank you to Alan Morgan in whose book ‘Heaton: from farms to foundries’ it appears. Here is a selection of news stories featuring Heaton Station in its early years. While she was here, she opened the new High Level Bridge. This picture of the royal train that day is from the Illustrated London News. 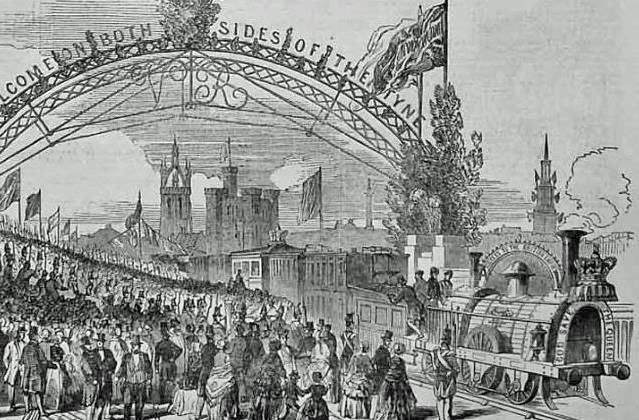 In August the following year, there was another local public holiday when the queen and her family again passed through Heaton, this time after after stopping in Newcastle to open the new Central Station on their journey North. 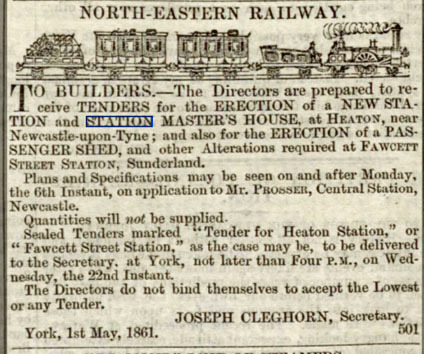 In 1861 advertisements inviting tenders to build a new station and station master’s house at Heaton appeared in the press. This would explain why the next photograph, dated 1886, looks quite different from the much earlier drawing. This photograph is published by kind permission of Beamish Museum and John Moreels of Photo Memories. 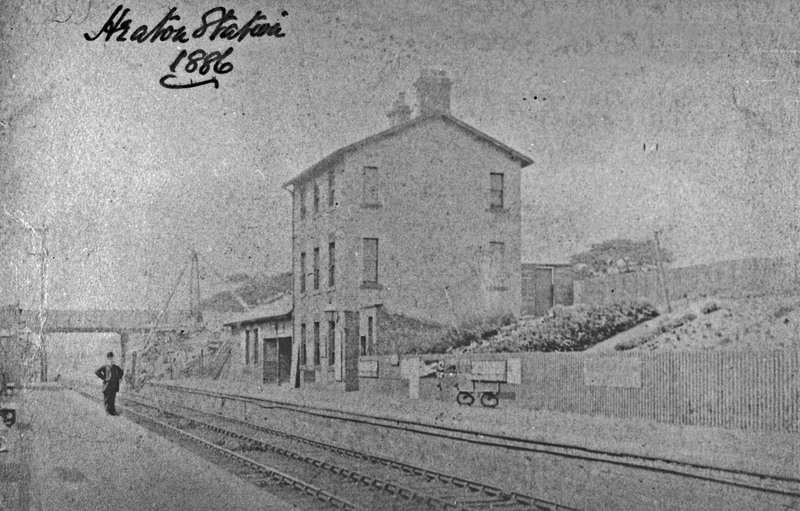 On 1 April 1887, the old station closed and on the same day the new one opened on on North View on the opposite side of Heaton Road. Again the photograph below is published with the permission of Beamish Museum and John Moreels of Photo Memories. Moving into the twentieth century, an incident took place which brought Heaton Station to the attention of the whole country. On 18 March 1910, John Innes Nisbet, a colliery employee who lived in Heaton, boarded the 10.27am train at Central Station to deliver wages to Widdrington Colliery. When the train arrived at Morpeth, Nisbet’s dead body was found. He had five bullet wounds to the head. A key witness was Nisbet’s wife, who had gone to Heaton Station to talk to her husband while the train was stopped there. She claimed that she saw the man later identified as John Dickman, the alleged murdererer, sitting in the same carriage as her husband. Dickman, who had also previously lived in Heaton, was found guilty on what many people believed to be unsubstantiated circumstantial evidence. He was hanged but long afterwards the case was cited by opponents of the death penalty. On 17 October 1913, suffragettes were reported to have attempted to burn down Heaton Station. According to contemporary press coverage, one of the porters had smelled burning: he saw smoke coming from the direction of the ladies’ waiting room and upon investigation found a large cardboard box behind one of the lavatory doors. It contained open tins of oil, fire-lighters soaked in oil and a piece of candle. It had been positioned in such away that, once alight, it would ignite the contents of the box and then the door. Had it not been discovered, the station may well have been destroyed as it was constructed almost entirely of wood. A few weeks previously Kenton Station had been burned to the ground and earlier that year, a bowls pavilion in Heaton Park destroyed. All three incidents were thought to have been perpetrated by suffragettes, who at this time were accelerating their campaign for womens’ right to vote. That takes us to 100 years ago. 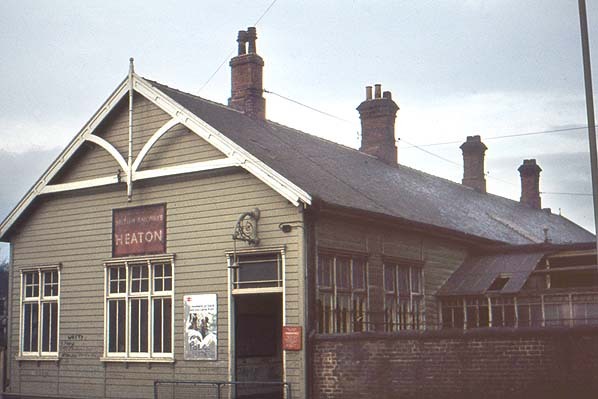 Heaton Station finally closed on 11 August 1980 in preparation for the extension of the Metro system. The following photographs are reporduced by kind permission of Alan Young, railway photographer and author, who was brought up on Meldon Terrace. They date from 1972. Further information and more images can be found at the Disused Stations website. 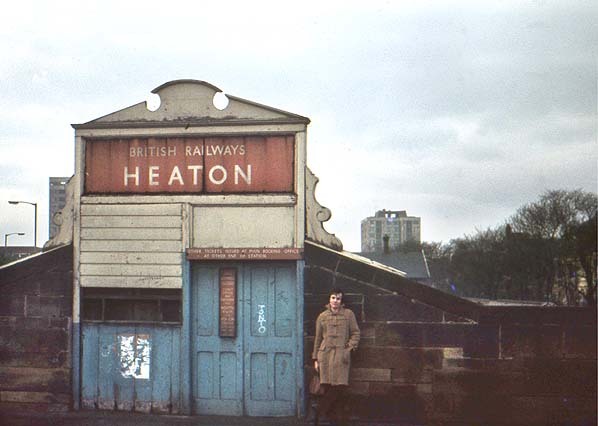 If you have information, memories or photographs of Heaton Station or Heaton’s railways, please get in touch. This entry was posted in Research and tagged Heaton Hall Lane, Heaton Road, Heaton Station, John Dickman, John Nisbet, Meldon Terrace, North View, Ouseburn Bridge, Queen Victoria, railways, royal visit, suffragettes on October 12, 2013 by oldheaton.